Recently, Rebecca has worked with two charities on two very exciting automotive events. The first was Cars in the Park in Lichfield, which supported the Midlands Air Ambulance. Rebecca went along to the event with M6 Toll and gave away a hot lap session as a competition prize. There was a wide range of cars on show, including some wonderful classic cars being displayed by their owners. Find out more about how you get hot laps with Rebecca in a Porsche here. The M6 Toll has a special monument to the Midlands Air Ambulance at the Norton Canes services – which recently won best service station in the UK. The Air Pulse monument was built to commemorate 25 years of the Midlands Air Ambulance so look out for it next time you’re there. 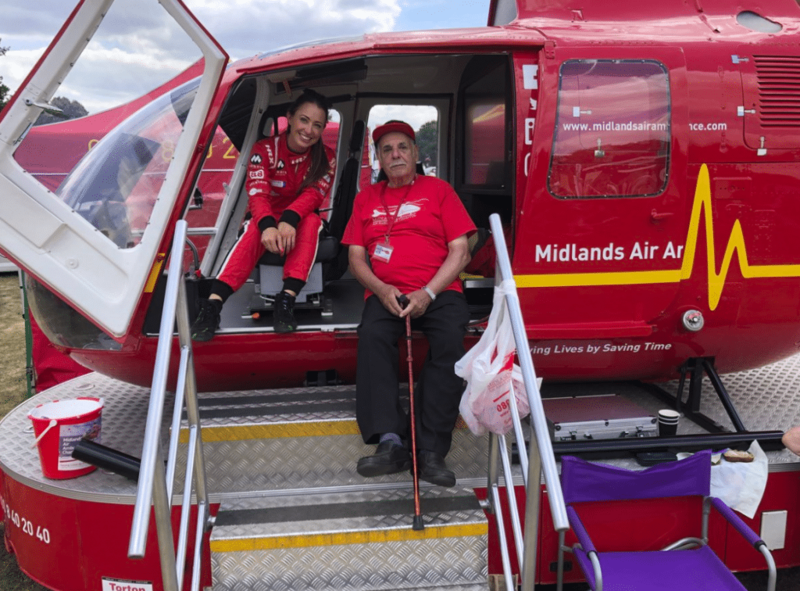 To support M6 Toll and the Midlands Air Ambulance, Rebecca signed autographs, displayed her Modern Herbie race car and took pictures with fans during the event. Find out more about the Midlands Air Ambulance here. The next event was The Supercar Event at Rockingham, which supported The Children’s Trust, a charity set up to help children with brain injuries and their families. During the weekend, Rebecca hosted the event but also gave hot laps in a Lamborghini Gallardo too. Find out more about The Children’s Trust here.